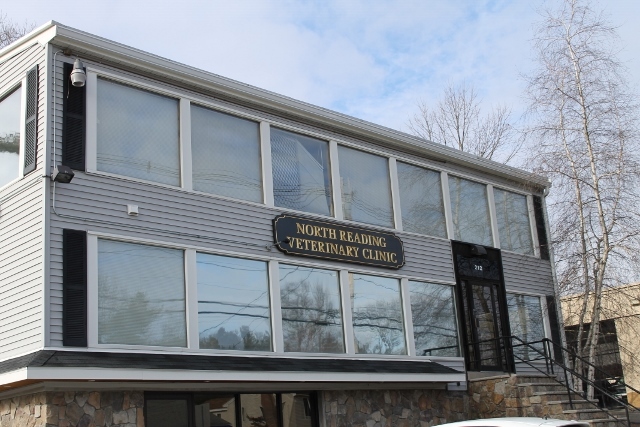 Jill joined North Reading Veterinary Clinic in March of 2016 as Office Manager. She is also a certified veterinary technician. She has a degree in Psychology and Criminal Justice, but after some time in the field, decided to follow her passion for animals instead. Jill has worked in the veterinary industry for over 7 years. She loves teaching new technicians, learning about the veterinary field and educating owners about proper pet care. Originally from the North Shore of Massachusetts, she now lives in Southern Maine with her husband and two children. Their house is full of pets with 2 dogs, Mookie and Remy, 3 cats, Pesky, Youk and Boston, as well as 6 chickens. She enjoys spending spare time with her family and pets as well as reading and listening to music. Brittany graduated from the University of Massachusetts Amherst with a Bachelors in Animal Science in May 2015. She has been working as a veterinary technician at North Reading Veterinary Clinic ever since! She has worked with a variety of animals including farm animals in Hadley, Massachusetts and exotic and zoo animals at the Stone Zoo. Brittany is now enjoying everything our small animal practice has to offer. She is also currently pursuing her certification in animal training. Brittany lives locally with her parents, 2 older brothers, a Westie named Bella and a long haired cat named Rue. In her spare time Brittany enjoys walking around Lake Quannapowitt in Wakefield with her dog, playing volleyball and testing her training skills on her friends' puppies. Kristin joined North Reading Veterinary Clinic in May of 2016. She has been working with animals since 2007 in a variety of different positions. When not at work, Kristin enjoys spending time with family and friends as well as traveling and dancing. Kristin loves her Shiba Inu, Roxy and her three cats, Bagheera, Johnny Cry Baby and Rondo. 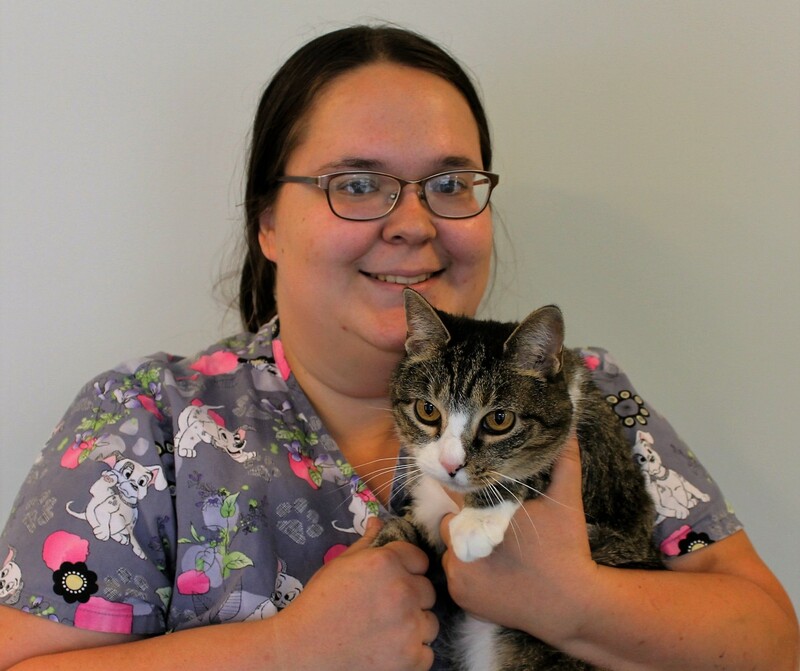 Ashly has worked at North Reading Veterinary Clinic as a veterinary assistant since April of 2014. She graduated from Essex Agricultural and Technical High School's Veterinary Technology and Equine Science Program. Ashly worked on a farm for three years before deciding to pursue working at small animal practice. She loves being part of the team here. Ashly enjoys horseback riding, fishing, camping and racing mud trucks! She lives on the North Shore and shares her home with three exotic birds, two cats and a Quarter Horse gelding named Husker! 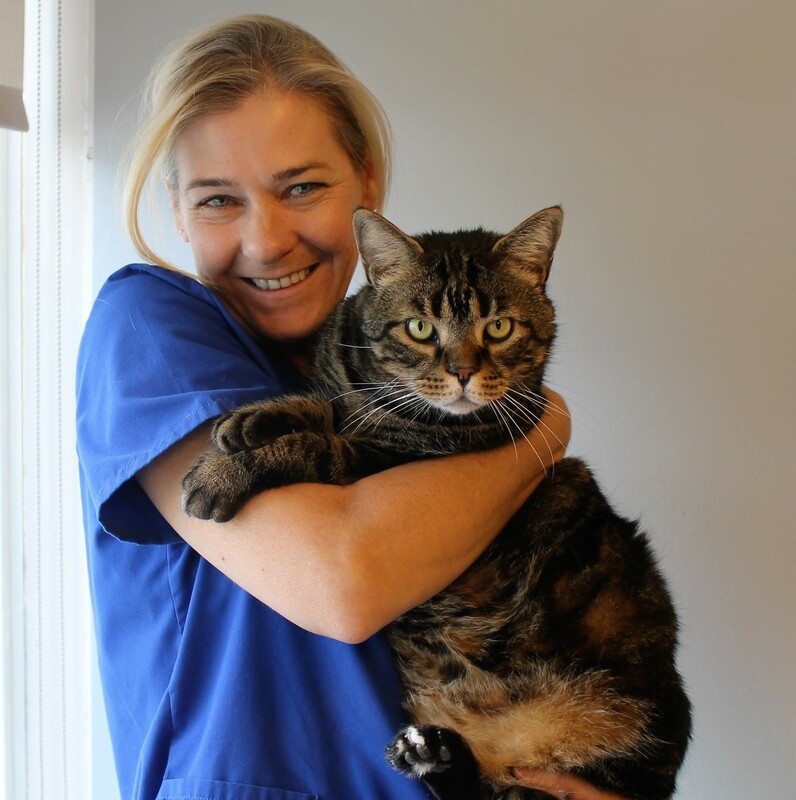 Kate has been part of the team at North Reading Veterinary Clinic since 2015. She graduated from the University of Massachusetts, Amherst with a Bachelor's degree in Political Science. She has also earned a certificate of Italian proficiency from the University of Florence, Italy. 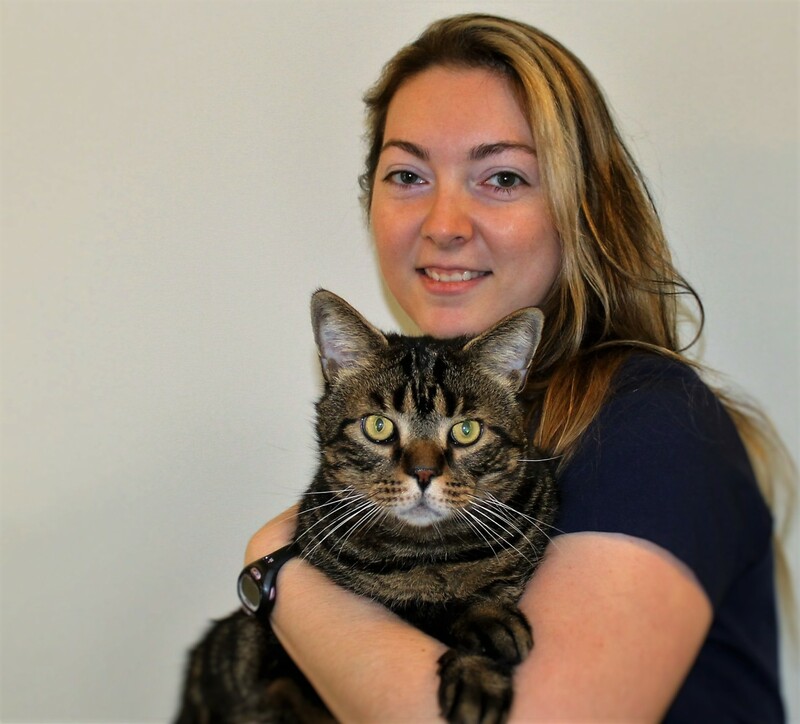 Her work experience includes working with the spay, neuter, trap and release program for cats on Deer Island, Boston Harbor Island. Kate has also volunteered for the marine mammal rescue program at the New England Aquarium. In her spare time, Kate enjoys spending time with her husband and two children, as well as her dog, Archie, three fish and two cats, Serious and Furonica. Maria is our head receptionist. She has been working at North Reading Veterinary Clinic since 2002. Maria enjoys greeting both the people and pets that are coming into the clinic. She shares her home with Letty, a Boston Terrier and Tony, a domestic shorthaired cat. Maria enjoys spending free time with her daughter as well as scrap booking and reading. Kylie joined the North Reading Veterinary Clinic team in January of 2019. Kylie is a recent graduate from the University of Massachusetts at Amherst. She graduated with her associate's degree in Veterinary Technology and has been working in the veterinary field for 2 years. When she's not working, Kylie loves to spend time at home with her cockapoo, Maddie and her Aunt's Havanese, Bindi. Morgan graduated from Great Bay Community College in 2015 with a Associates in Veterinary Technology and has been working at North Reading Veterinary Clinic since November 2018. She previously worked at Bulger Animal Hospital in the Emergency and Critical Care department and was a dog and cat groomer for over 10 years. She brings lots of experience and loves sharing what she has learned with her teammates and educating owners about proper pet care. Morgan has a lab mix rescue from the south named Kansas, who loves coming to work with her every day. Kansas is super smart and knows lots of tricks! In her spare time Morgan loves going to the gym and hiking with Kansas all over New England. 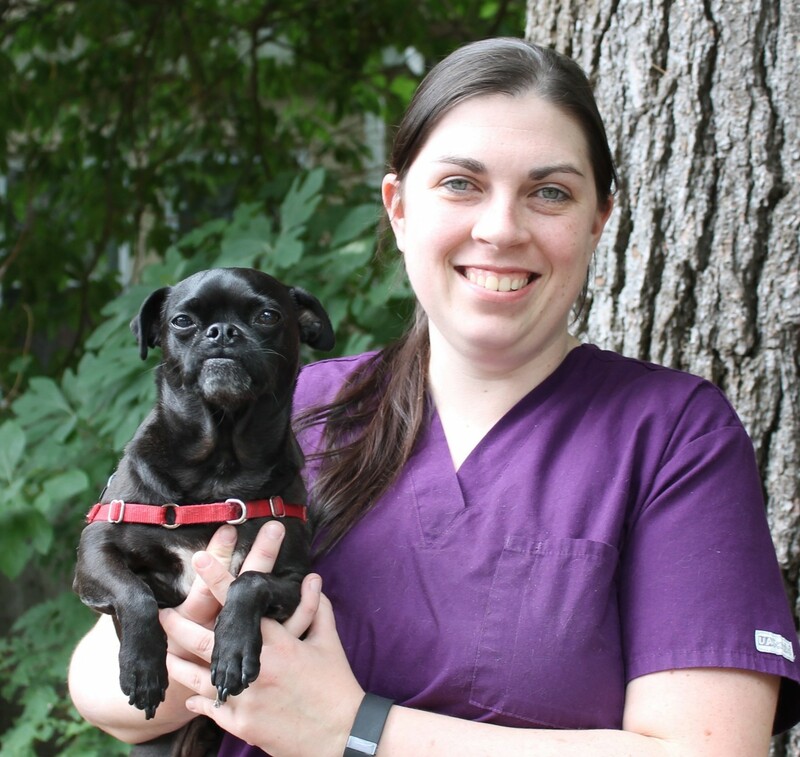 Parker started working at North Reading Veterinary Clinic in August of 2018. After obtaining her Bachelor's degree in Journalism, she decided to pursue her interest in veterinary medicine, a passion that started at a very young age when she would go to work with her mom at their local veterinary hospital. For her senior thesis, Parker produced and directed a documentary film investigating the differing cultural perspectives of dogs. She traveled to Puerto Rico, Texas and throughout the North East to conduct interviews and research for the film. Parker lives in Lynnfield with her two rescued French Mastiff's, Penny and Ruby and her Holland Lop Rabbit, Walter. In her free time, Parker enjoys spending time with her family and pets, long-distance running, skiing and cooking. She loves working at NRVC because she is constantly learning something new! Tori has been working at North Reading Veterinary Clinic since October of 2016, which also happens to be the year she graduated high school. She started as a kennel handler for 2 years. Since then, she has begun taking college courses online at Penn Foster to become a Certified Veterinary Technician. Tori has had animals her whole life and currently has 3 cats, Gizmo the tuxedo, Finnigan the Siamese, Fiona the silver tabby, and a toy bull dog dog named Annabelle. When Tori isn't learning new skills to help our furry friends, she is getting creative with her little brother. They are dancing, painting, singing, watching movies, you name it! If she can get some alone time she is listening to music, doing gymnastics in the backyard, reading or coloring anything with lines.